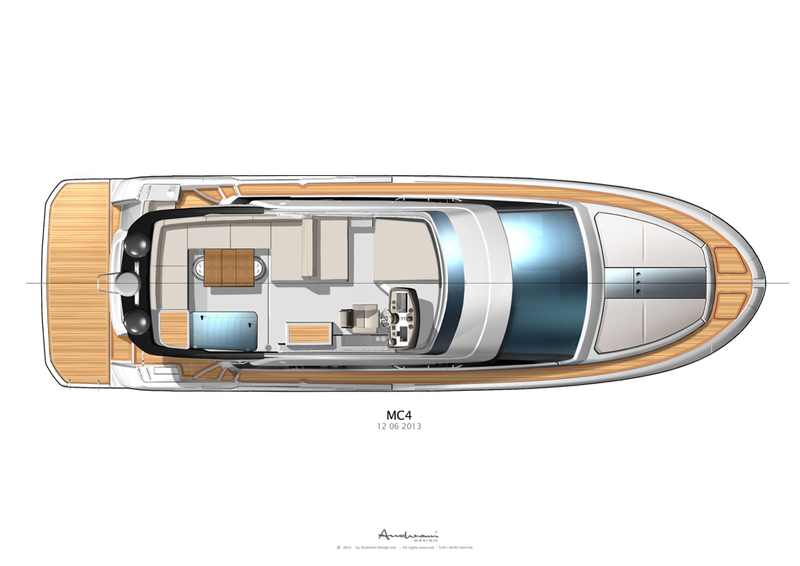 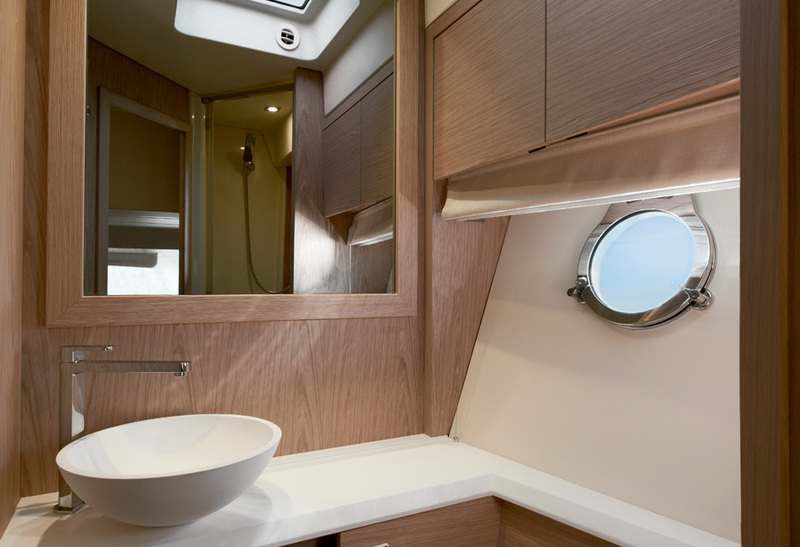 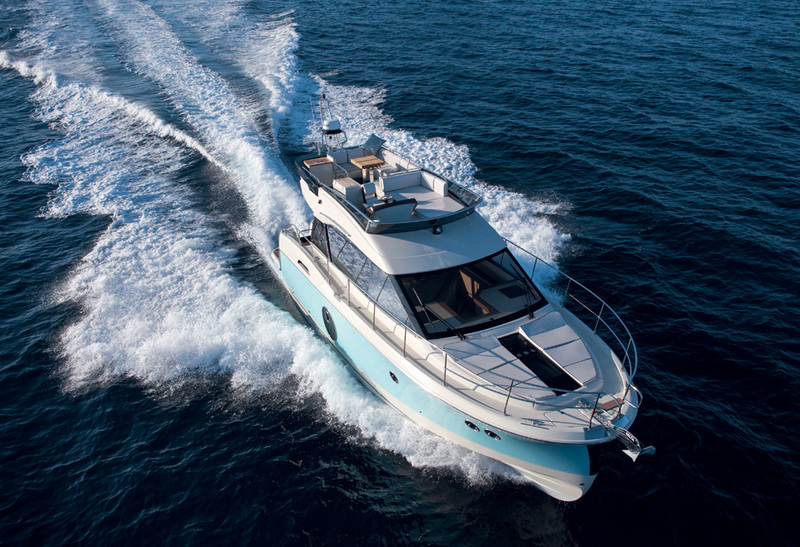 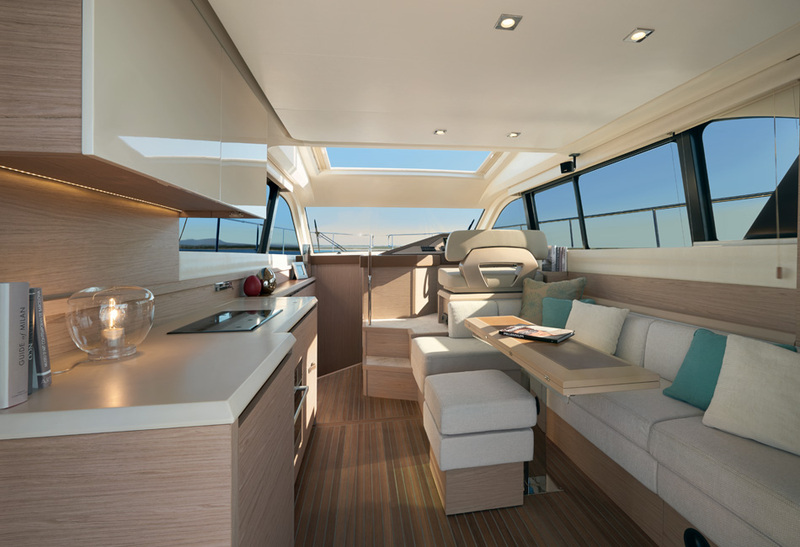 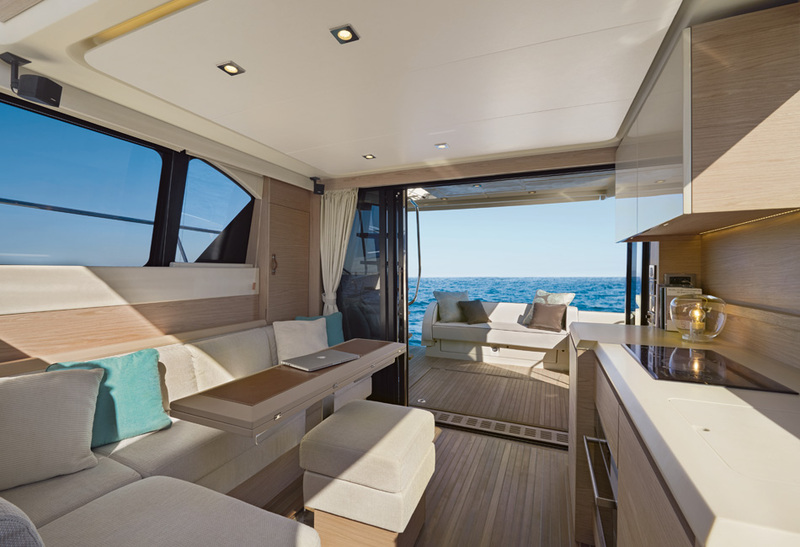 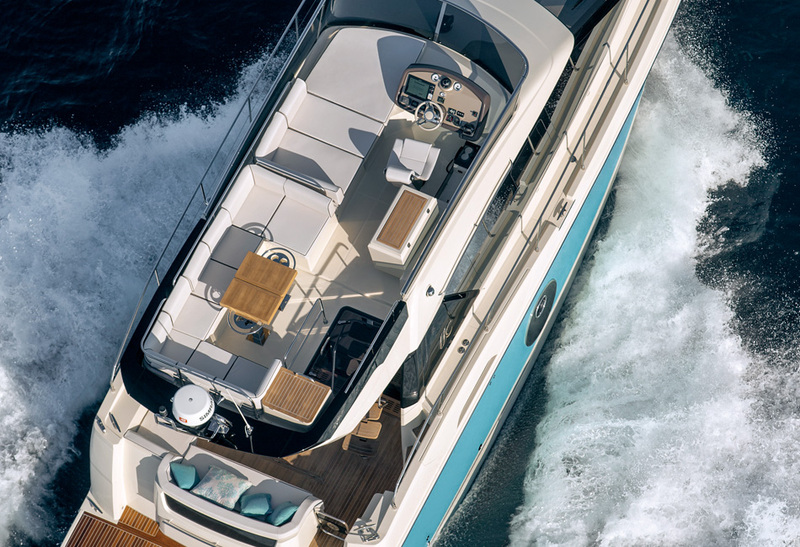 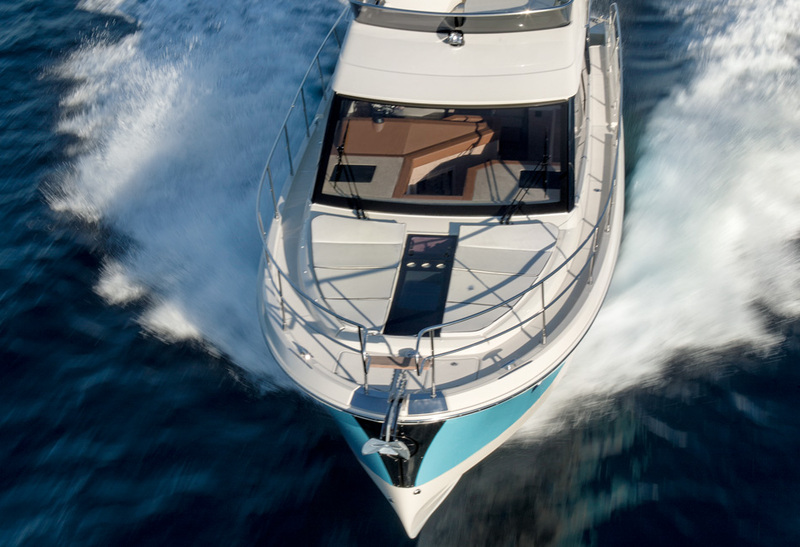 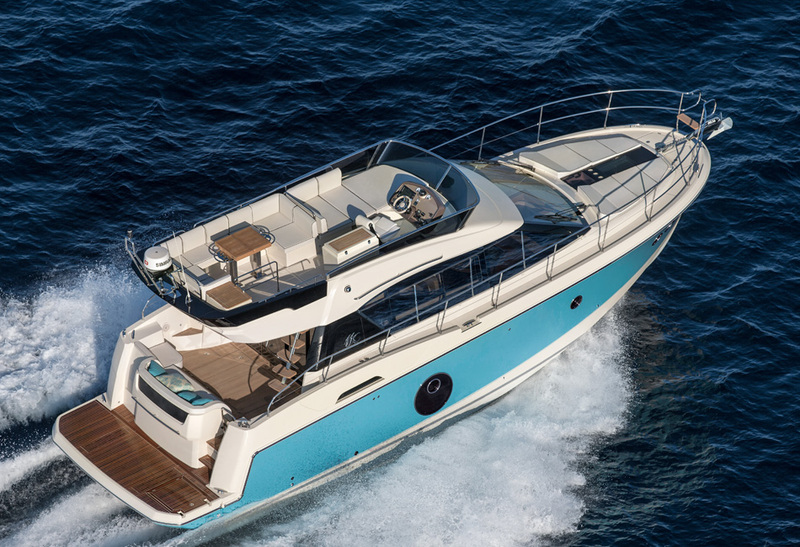 The Monte Carlo 4 is first in Beneteau’s Premium line. 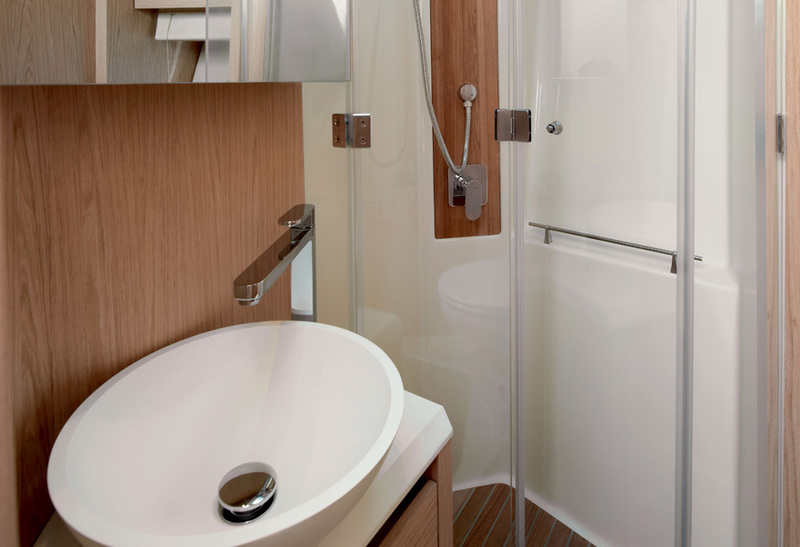 Every inch mirrors the authentic character of French style. 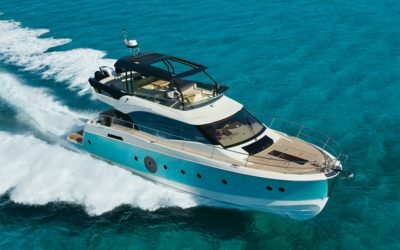 This motor cruiser, which resembles a yacht, is elegant and powerful – a dream boat for discerning owners. 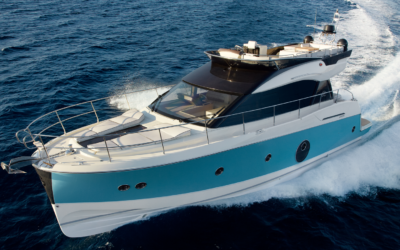 The 43-foot Monte Carlo 4 is steeped in timeless design with a slender profile, emphasizing her massive flybridge. 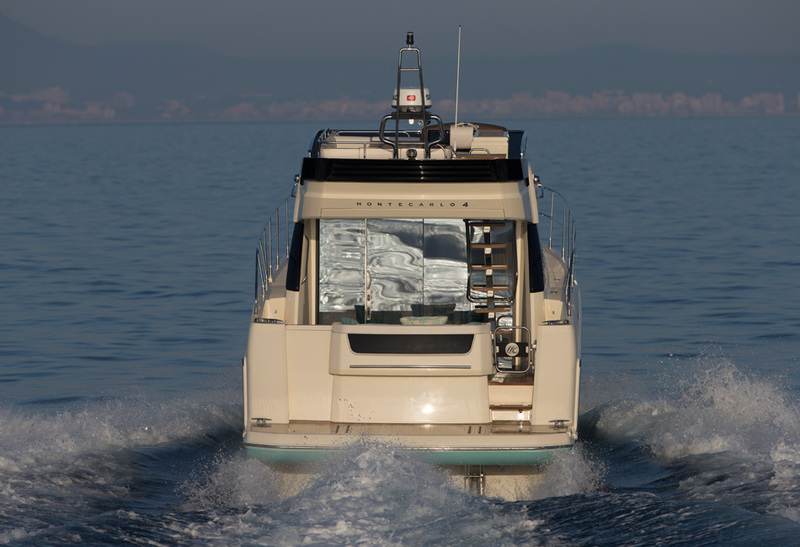 She promises superior motor cruiser performance and safe seakeeping thanks to her v-shaped hull. 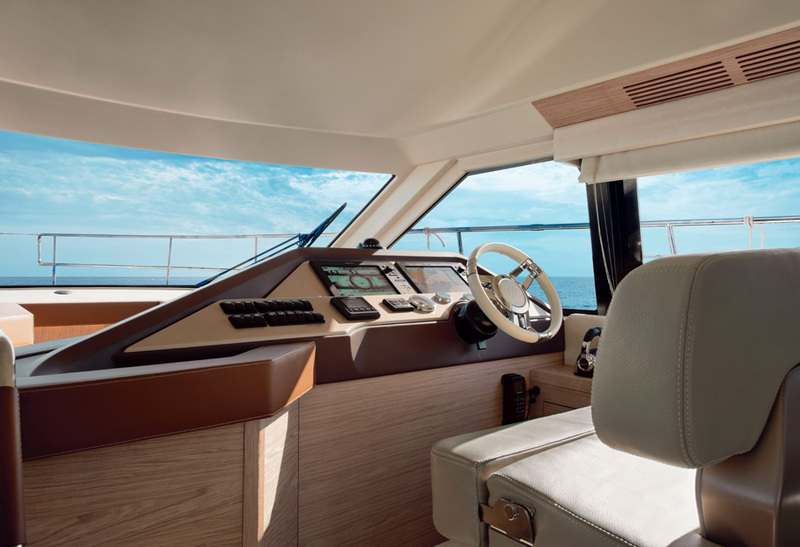 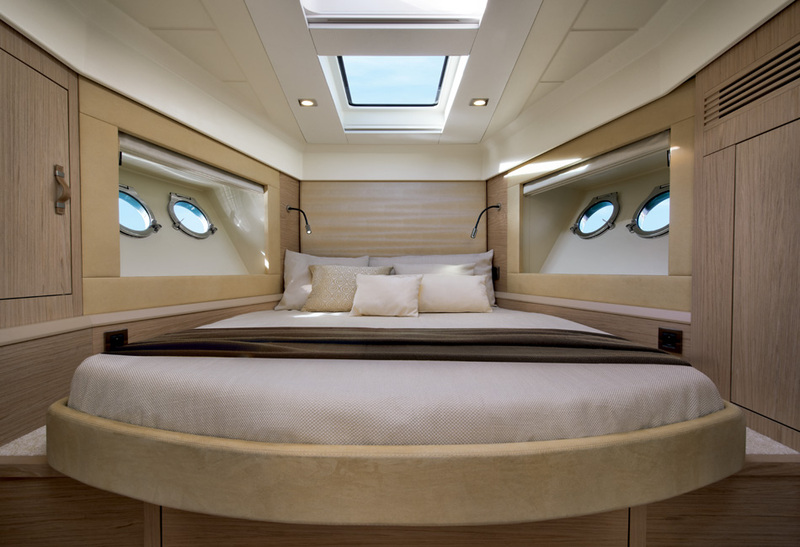 The living spaces of the Monte Carlo 4’s main deck flows smoothly from the cockpit’s aft to the wheelhouse. 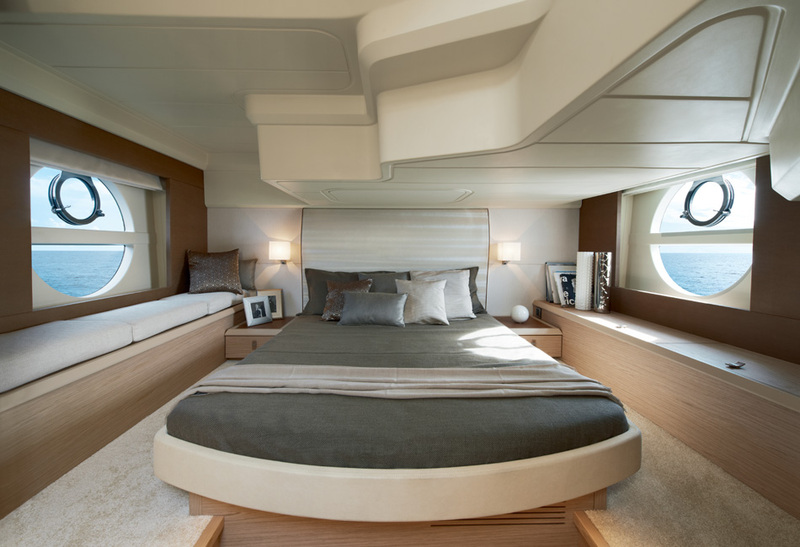 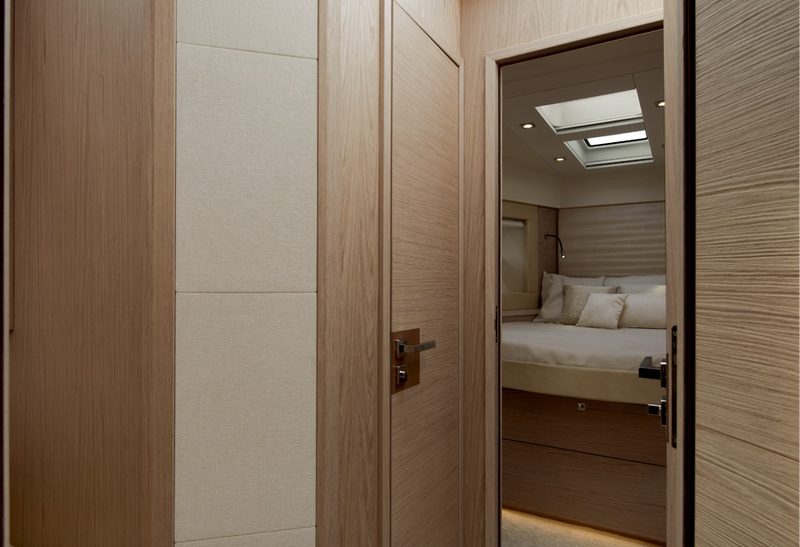 Two stately bedrooms and an an en-suite shower room are located below the deck.